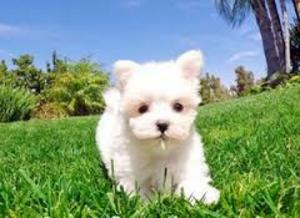 Adorable outstanding Maltese puppies ready for their new and forever lovely home. Good with kids and other pets been wormed and deflected vet checked 1 female 1 male very chunky ready to go. In excellent condition, good family pets. All injections given, also chipped. These puppies have great markings no breathing problems or health issues fantastic bone structure many champions in bloodlines. Please if you are interested in offering these puppies a good, lovely caring home.